The people of Plateau State have been asked to queue behind Simon Bako Lalong of the All Progressives Congress, APC, in the 2019 governorship election in the state. Plateau Good Governance Project (PGGP), a political socio-cultural group, which made this group hinged its reason on the peace and security of Plateau under Governor Lalong. Aaron Gowon Lar, President of the PGGP at a press conference in Jos, the state capital, noted that Plateau state had before suffered many setbacks in the hands of its leaders and specialised cabals who knitted the gory stories thus leading to an era of incessant crisis in the state. This nagging situation, he said changed after Lalong mounted the seat of power in 2015. 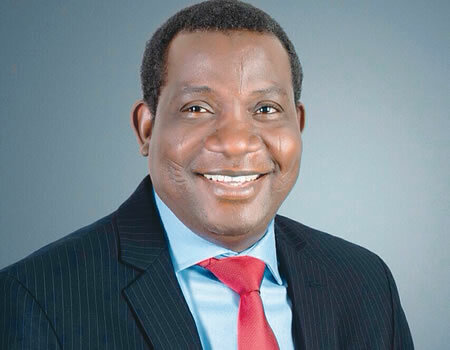 According to Gowon, insecurities in Plateau state has been pushed to the lowest ebb with residents and aborigines living together without traces of distrust and the fear of unhealthy association is a jinx which has been broken by Governor Simon Lalong Lalong; a man of peace, accountability and a sincere vendor of purposeful leadership. PGGP said it also embarked on a research centered on infrastructural development under Lalong’s watch and were able to identify key projects championed the governor. Gowon said, “Governor Simon Lalong is a father figure and a silent achiever. Within this few years in office, he has been able to foster peace and unity, community development and security through a paradigm phase of mindset revolution without arm struggle. “We must commend the achievements of this big iroko and we have resolved in our close door meetings held with eleven other good governance seeking group to task him in a bid to do more. At this juncture, permit me to highlight the agreement fine-tune at the last joint consultative meeting championed by the Plateau Good Governance Project,” he said. The further unanimously resolved that Governor Simon Lalong should be voted for a second term in office owing to his numerous achievements ably facilitated by our principal, which is ongoing an ongoing project.